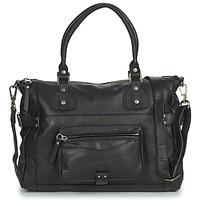 SABRINA Bags - SABRINA - Free delivery with Spartoo UK ! Full of passion, boldness and creativity, the spirit of Michael and Anya, two young Parisian designers, comes through in their collections. Partners in life and at work, they have one thing in mind, to create ultra-trendy pieces made of the finest Italian leather in an exclusive palette of colours. In love with the world of fashion from a young age, the duo spends all their time on their passion: the bag, and use their skills and expertise to create innovative collections. Sabrina was created, a name chosen in honour of Audrey Hepburn. Elegant, Sabrina is the image of today's woman. This is the culture of "non-disposable" fashion, style that lasts.